For aspiring rapper, Patti (Danielle Macdonald), music is her passion and her escape. Living in Jersey with her overbearing mother, Barb (Bridget Everett), and her ailing Nana (Cathy Moriarty), Patti struggles to find work in order to help pay the mounting bills. However, every night when Patti closes her eyes she becomes a hip hop superstar - accepted and revered like her idol, the rapper O-Z. Sadly, the only person who believes in her talent is Patti’s friend and music partner, Jheri (Siddharth Dhananjay). Can Patti ever believe in herself and make her dream a reality? On paper, Patti Cake$ sounds like your typical underdog/coming of age story. And, in reality, this debut feature from Geremy Jasper is just that. Break this film down into its constituent parts and you'll be hard pressed to find anything particularly challenging or new. Patti Cake$ is a familiar fairytale. However, this is also a charming, poignant and heartwarming film about dreams and destiny, family and friendship - featuring a truly superb performance from Danielle Macdonald. Patti’s struggle to be a part of a world that she is constantly told she doesn’t belong to is heartbreaking (and at, at times, brutal) to watch - particularly when we see her mother (perfectly played by Bridget Everett) clinging to her own faded dreams with bitter desperation - all the while insisting that the two are more like sisters. Is Patti destined to suffer the same fate? Not if the hilariously endearing Jheri has anything to do with it. His friendship with Patti is endlessly upbeat and entertaining. Meanwhile, the third member of this unlikely group - an enigmatic, soulful loner (Mamoudou Athie) - sees Patti’s potential both on and off the mic. One of the joys of Jasper’s film is watching Patti and her gang progress from plucky amateurs to really impressive artists. It feels more authentic than you might expect and sits well with the film’s themes and Patti’s emotional journey. Patti’s biggest fan is her Nana (wonderfully portrayed by Carol Moriarty) who, in a particularly enjoyable scene, plays an important ‘musical’ role. Nana is also instrumental in reassuring her granddaughter that she has not failed in her aim to “be somebody” because, in the eyes of all that love her, she already is somebody. Geremy Jasper’s film may be full of narrative contrivances. We may have heard this story told many times before before. However, that doesn’t stop Patti Cake$ from being an enjoyable and, ultimately, uplifting experience - one that I would recommend. 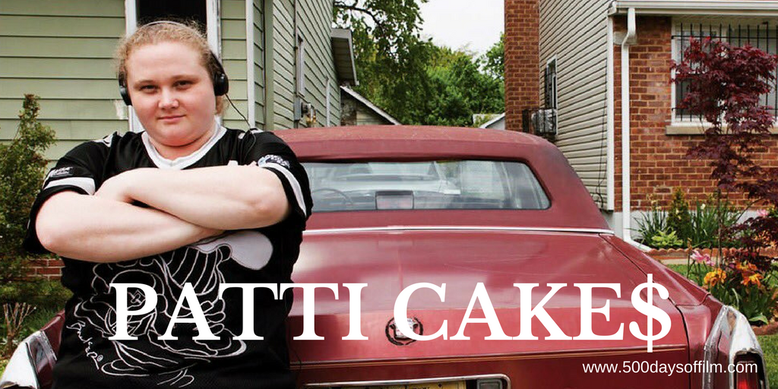 Have you seen Patti Cake$? If you have, what did you think of this film? Let me know in the comments section below!